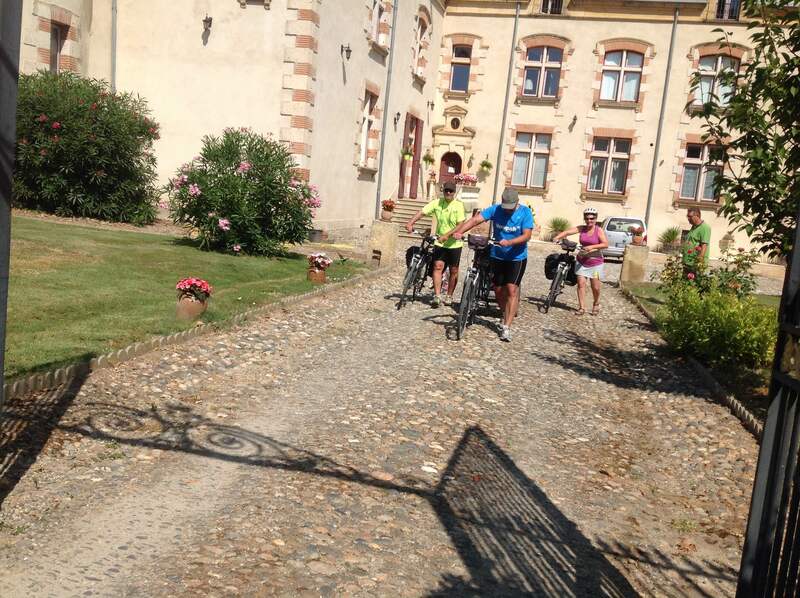 Yesterday the cyclists were very enthousiastic of the really warm welcome (37 degrees) at Chateau de Lastours. After a cooling down in our superb swimmingpool, a nice dinner outside on the terrace. Even little “mimmie” was very happy to sleep at the Chateau. After a delicious breakfast they left for another 60 kilometers to go along the canal.